I don’t know if Buckeyes are well known all over the U.S. or not. I’m from the Midwest, so Buckeyes are not just a college mascot, they are peanut butter balls dipped in chocolate, made to look like a buckeye nut. These bars are just like that, without all the rolling and dipping. 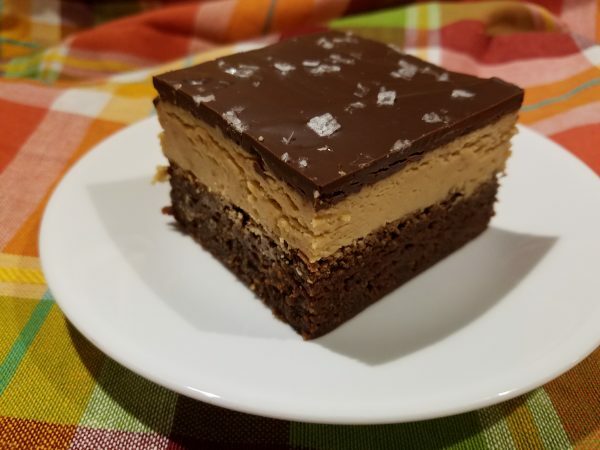 These bars start with my favorite brownie recipe, add a layer of peanut butter, with chocolate and flaked salt to top it off. Peeps, this is heaven. I love this dessert. I’m going to run away with it and marry it and we are going to be happy forever and ever. Cut this into large squares and serve with a plate and fork like fancy people do, and then give up all notions of self-control and good judgment and dive right in. Preheat your oven to 350 degrees. Spray an 8 x 8 pan with non-stick spray or line with parchment paper. Set aside. 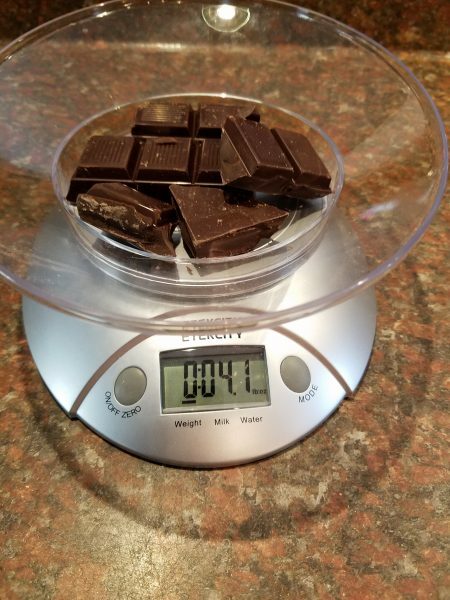 Measure out the chocolate, using a kitchen scale if needed. 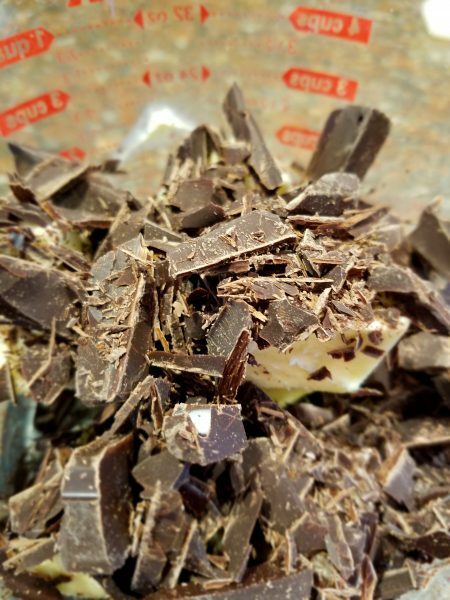 In the microwave, melt the butter and chocolate together, cooking for 30 seconds at a time and stirring in between cooking times, until completely melted. In a mixer, beat the eggs, sugar and vanilla. Add the chocolate. It can still be a little warm but not hot or else it will start cooking the eggs. Mix until combined. Sift the flour and salt together and add to the chocolate mixture. Mix until totally incorporated, but don’t overbeat the batter. I normally just fold in the flour by hand. Transfer to the baking pan and bake for about 40 minutes. Remove when a toothpick or cake tester comes out clean. Set on a cooling rack to cool completely. Beat the butter and peanut butter together until they are smooth and combined. Scrape down the bowl and add the confectioner’s sugar. As it’s mixing you can add the vanilla and heavy cream. If it’s not becoming smooth, add more heavy cream one tablespoon at a time until it smooths out. Add the salt. 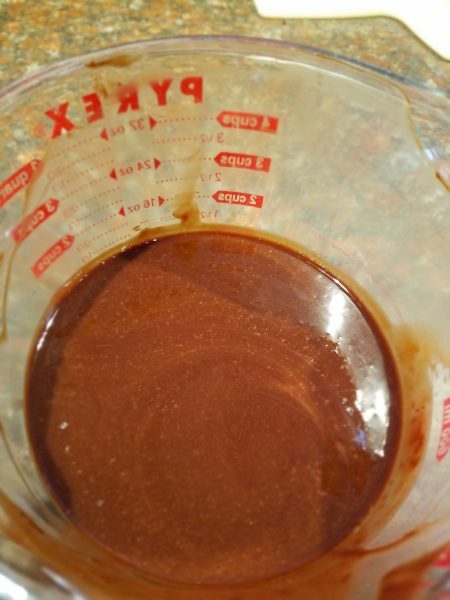 Transfer to the brownie pan and use a small spatula or a butter knife to spread the peanut butter on the cooled brownies to all corners, smoothing it out so the chocolate layer is even. Combine and melt in the microwave 30 seconds at a time, stirring in between, until melted and smooth. 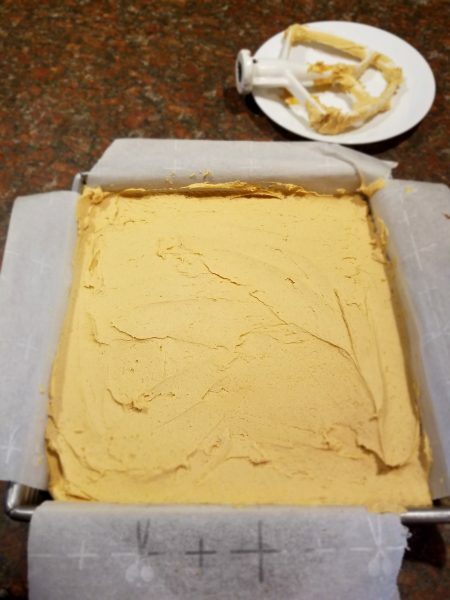 Pour over the peanut butter layer, smooth out and sprinkle with sea salt flakes. Chill for at least 2 hours and then serve.